Krishna story: Arjuna keeping his word! Narada, again an avataar of Lord Vishnu, suggested some rules to be followed by pandavas and Draupadi for living together. One of the rules was that: Draupadi should spend one year with each of the pandavas and while she was with one of them, no other Pandavas should visit the palace where they might be. In case of any breach of their rule, one-year pilgrimage was prescribed by way of penance leaving the kingdom. The pandavas and Draupadi were living happily until one day: a brahmana came running to Arjuna saying that the thieves had stolen his cows. Arjuna wanted to rush with him to catch the thieves but he realized that his bow and arrows were kept in Yudhisthira’s palace and he was there in the company of Draupadi. He hesitated for a while, then seeing brahmana’s plight he rushed in to Yudhisthira ‘s palace took his bow and arrows and ran to catch the thieves. After he caught the thieves and punished them, after restoring the cows of the brahmana, Arjuna came back to Yudhisthira and told him about his transgression of the rule. Yudhisthira, knowing the reason of the breach of their rule, said their is no need for Arjuna to take the pilgrimage. 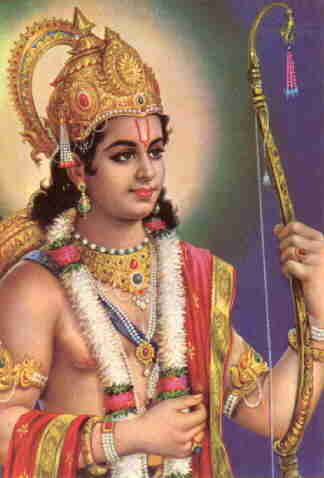 Since it is a mistake committed towards him, and that too for a good reason, he will pardon Arjuna . However, Arjuna would never break his word. He immediately set out for a one-year pilgrimage. Maybe this is why Arjuna is such a favorite sakha of Lord Krishna. Arjuna, knowing that he will be punished for breaching the rule, did not stop doing his duty as a king to protect his people and punish the thief. Thus, one must always perform his duty without any laziness or any kind of fear.